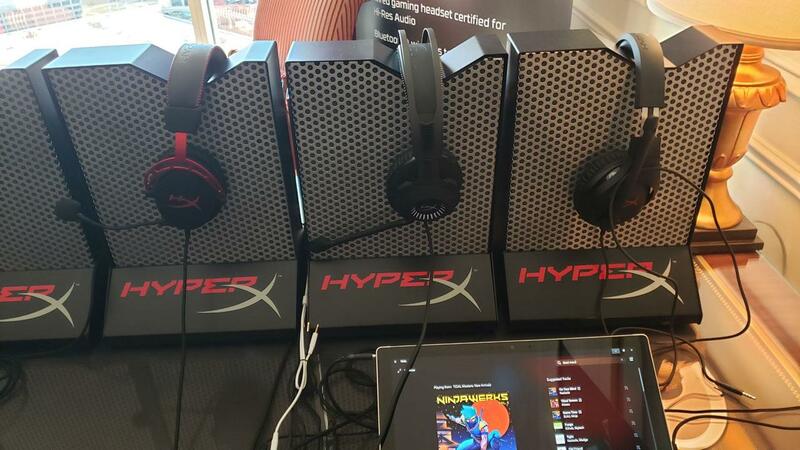 Stopping by at HyperX, I saw a few products that should get a few gamers excited this coming year. 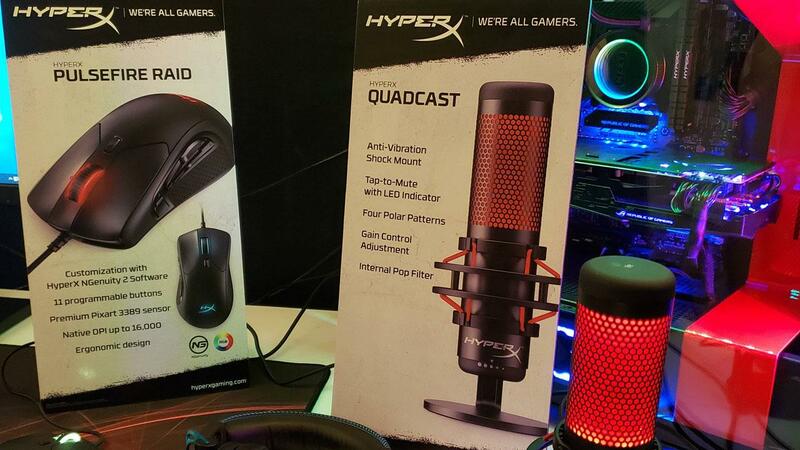 For content creators and streamers, HyperX is getting into the broadcasting space with their new Quadcast mic. 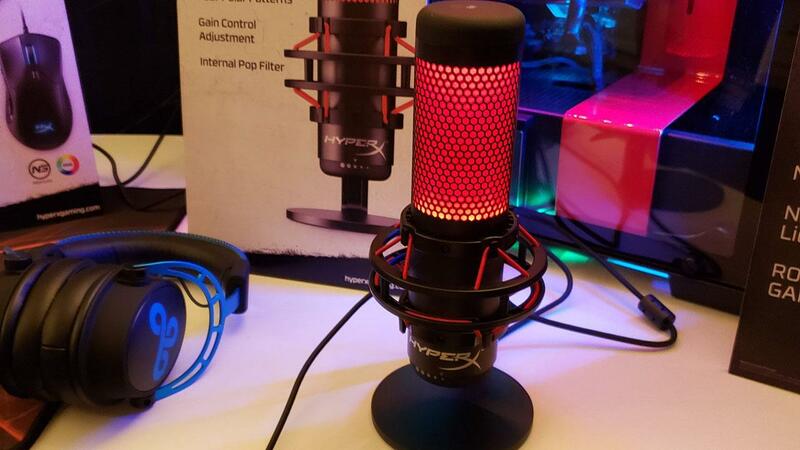 You can see the nice warm red glow that lets you know the mic is live and ready to go. Once nice feature is you just tap the top of the mic to mute and the light turns off. Tap it again and you're live with that visual cue letting you know. 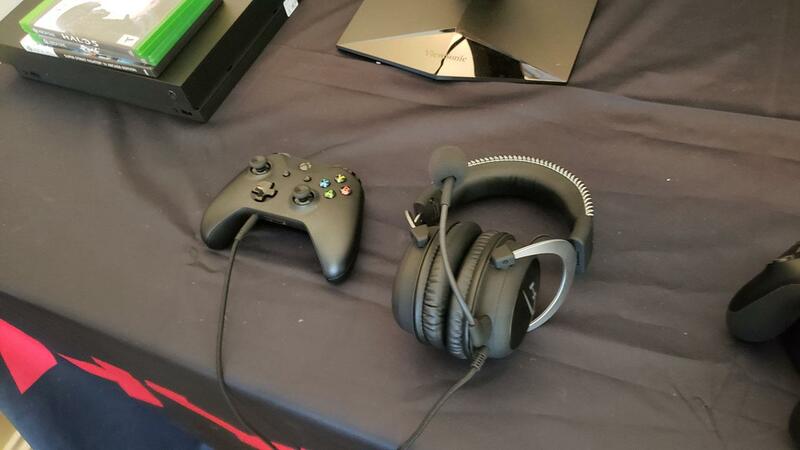 Noise cancellation is built in to help cut down any unwanted sound. 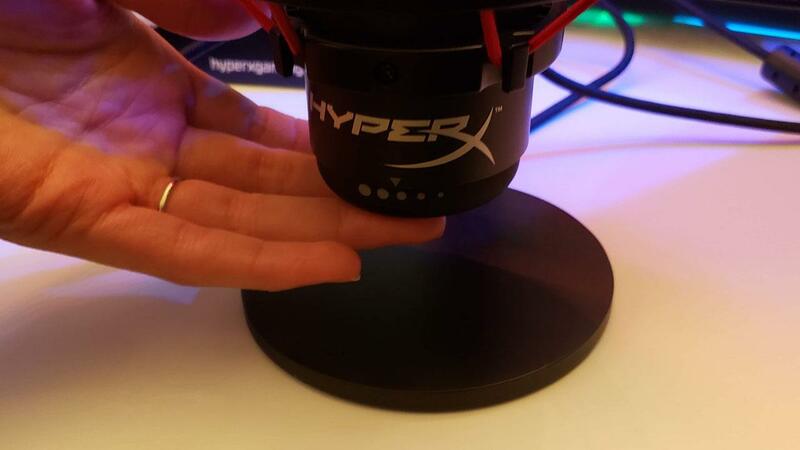 You can see the anti-vibration mount that should keep your mic steady should you desk shake from the rumblings of a game. 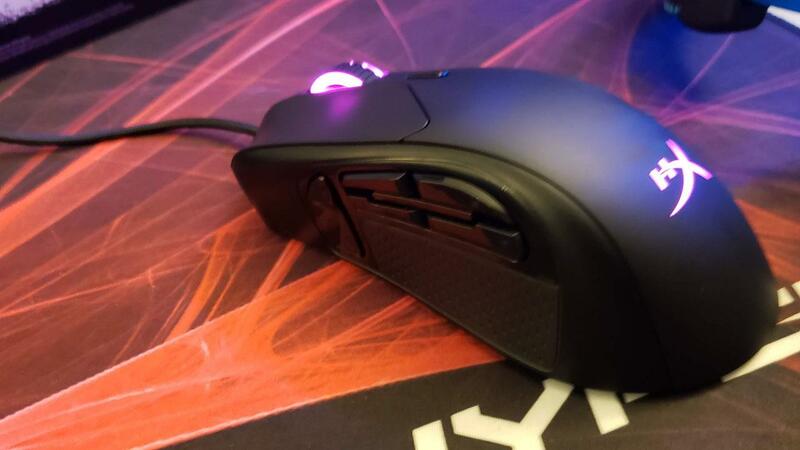 On the back you can use an attachment to attach the mic to an arm of your choice. At the bottom is a rotating dial that you can use to adjust gain. And perhaps in s nod to its name, there are four polar patterns so you can adjust it based on how you are recording that day utilizing one for say an interview setting with another person or change it to one more suitable for your single person streaming scenario. 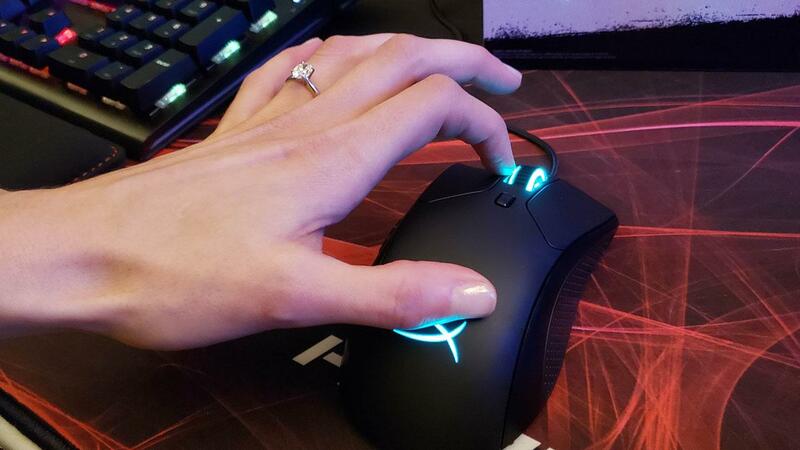 There's a built in 3.5mm jack so that'll let you live monitor your broadcast. 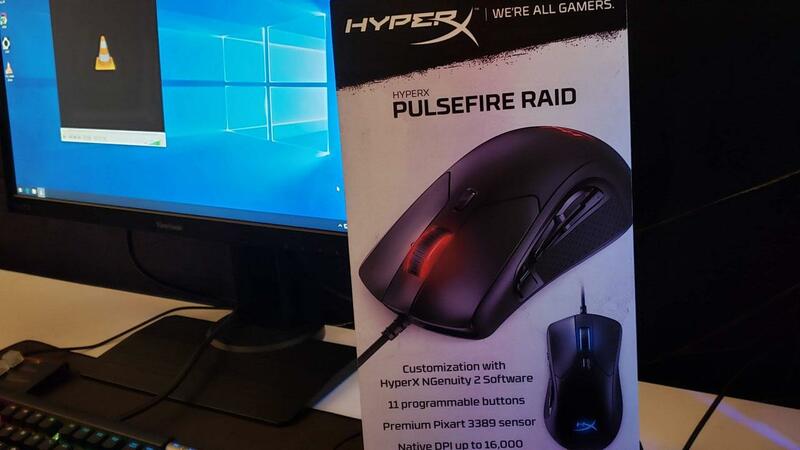 It'll come in at $139 and launching around Q2. 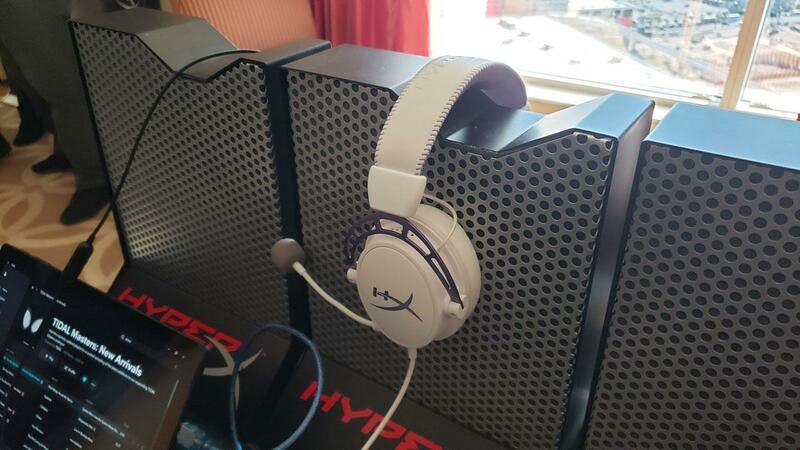 Headphones are what HyperX does really well and they brought two very high end headphones to the show. 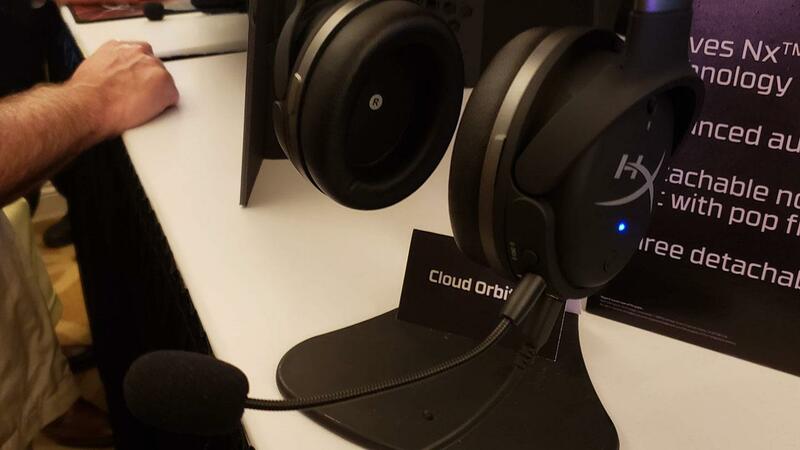 The Cloud Orbit and Cloud Orbit S headsets aren't going to be cheap but they sound really, really good. Partnering with Audeze and using 100mm Planar Magnetic Drivers, I was demoing them with some high quality music from Tidal and the levels of highs and lows as well as the clarity was amazing. These are wired sets, but they also hold a battery that lasts 10 hours for its digital processor and one you'll need for when you listen with it plugged into a phone via a 3.5mm cable. 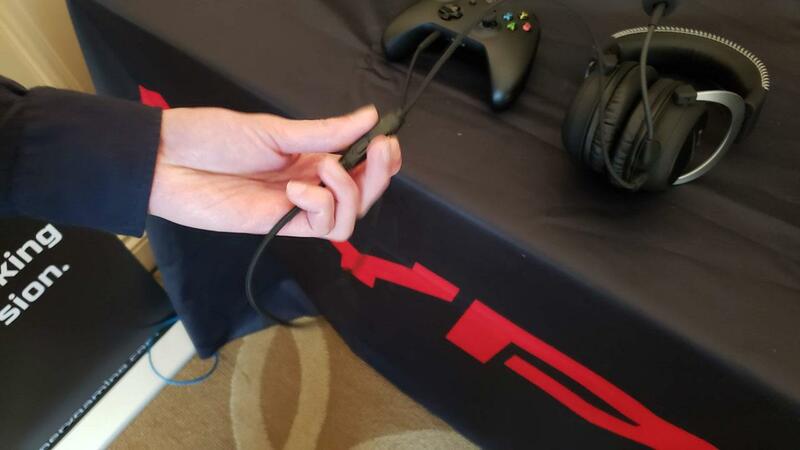 If you're using it with a computer, you can just plug it in via the USB-C connector have it both power and deliver sound to you through that single cable. 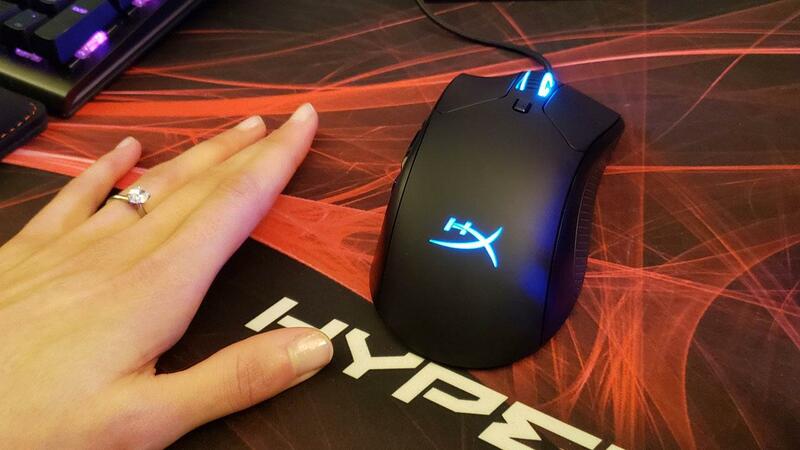 The design doesn't scream gamer like the Cloud Mix we reviewed but still has that HyperX logo on the side, which for me isn't that bothersome. 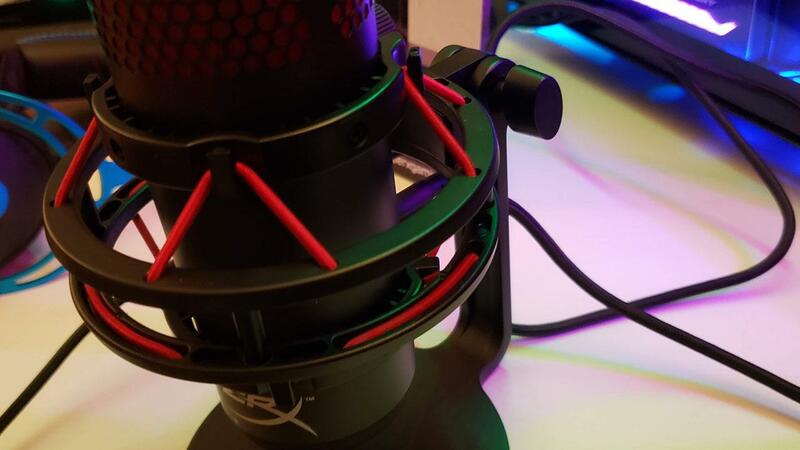 There's also a detachable mic should you not want to see that in your view when you're just listening to music or other forms of media. 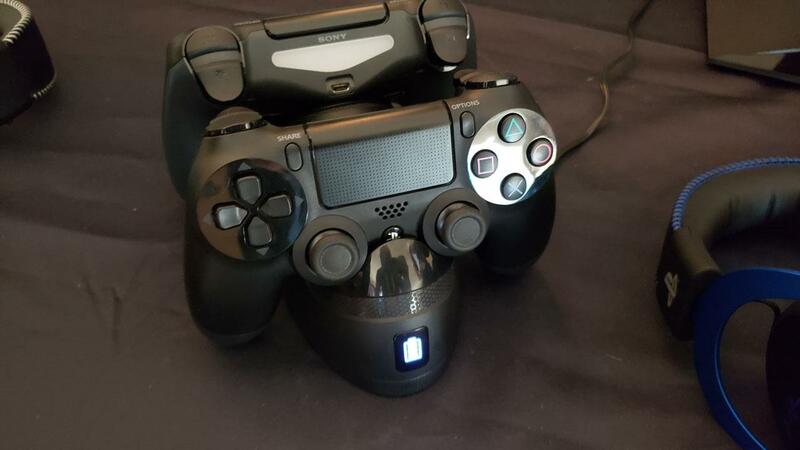 Positional audio is the only difference between the two with the S version having a button that , for the CES demo, created a virtual center channel that stayed where it was when you moved your head. When I turned left, the center channel sound came from my right speaker and vice versa and all positions in between. It was pretty impressive and I'll have to see how practical this feature will be when used in real world situations. 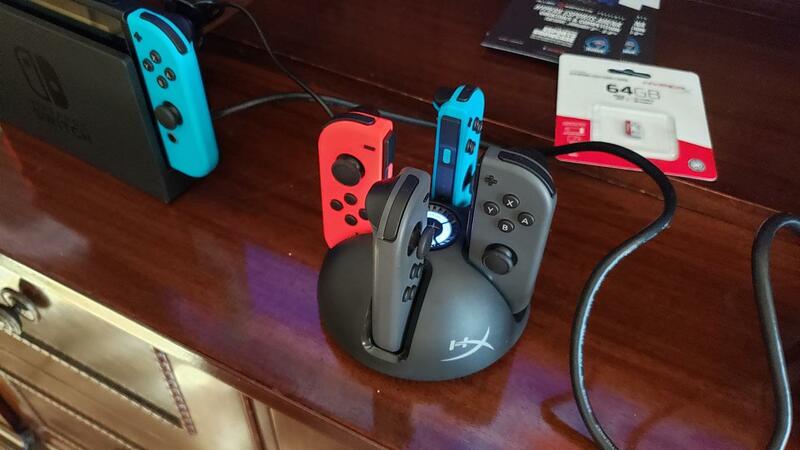 The HyperX Cloud Orbit will come in at $299.99 while the Cloud Orbit S will be available for $329.99. 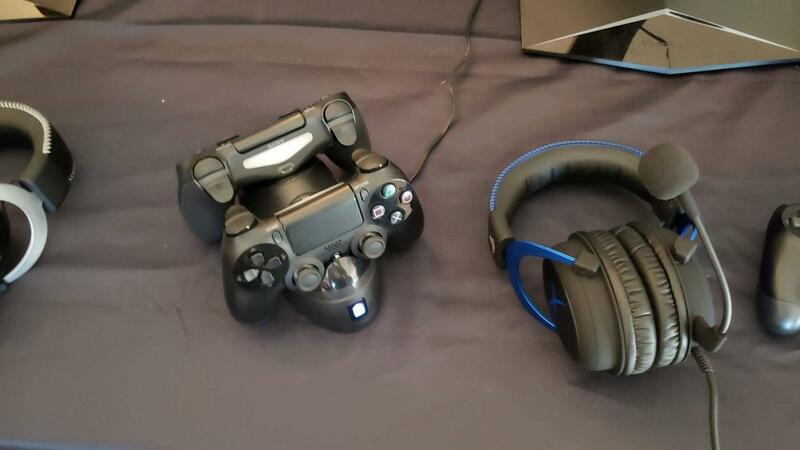 Both are still less expensive than the Mobius headphones by Audeze, which retail for $399.99. Look for the Cloud Orbit and Cloud Orbit S sometime in next few months.